Designed and personalised to perfection by you! A Samsung J6 custom case to protect your phone. 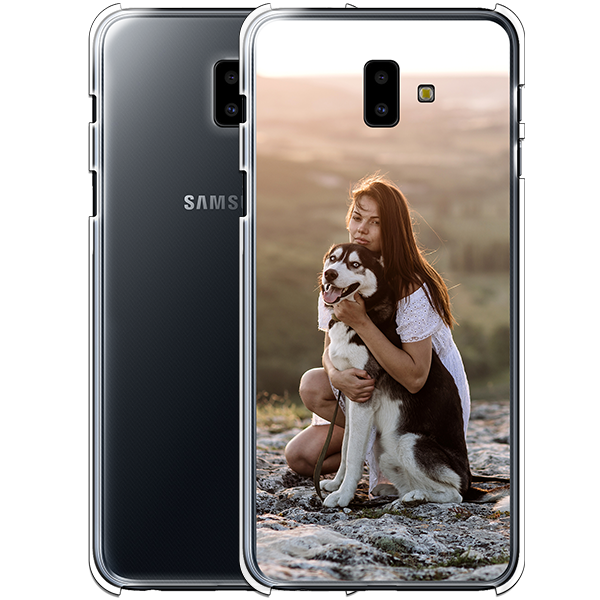 A photo of your choice, beautifully and vividly printed on the back of your Samsung J6 custom case. A Samsung J6 custom case prevents your phone from damages occurred from bumps and scratches. The case is made of sturdy plastic material, which reliably protects the back and corners of your phone. At GoCustomized, we give you the opportunity to have both style and protection. You can design your case the way you want and make your phone as unique as you want! In addition, having a case does not hinder the functionality of your phone. We have strategically placed openings in the case so you can access the phone’s camera, charging port, and earphone slots. This Samsung J6 custom case is personal, practical, and fits perfectly with your new phone! Together, we make the best case! Through our user-friendly design module, you are the creator of your own personalised case! In the customiser, you can upload photos and images from your phone, computer, or social media accounts like Facebook and Instagram. You can place, adjust, rotate and zoom in on these photos however you like. However when creating your design for the case, please keep the margin in mind. At GoCustomized, we believe that anything is possible with your creativity. You can insert a favourite quote or a special date for final touches. Don’t have any ideas on how to design your case? No worries! We offer a collection of designs made just for you. 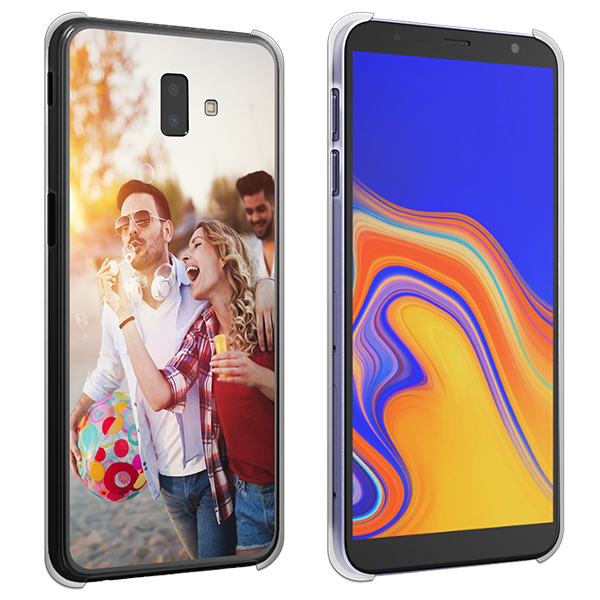 Start creating your Samsung J6 custom case now! Our goal is to print cases sharply and beautifully, with no imperfections. This is possible through the use of high-quality ink. Combined with our advanced printing technology, we not only print cases sharply and beautifully, but also quickly. 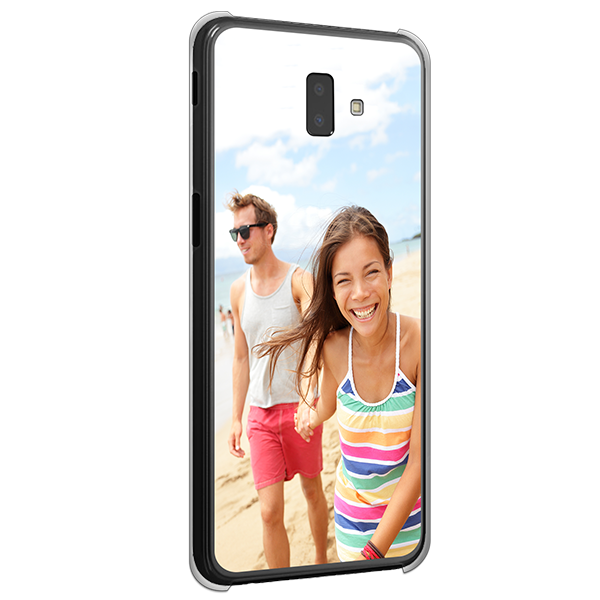 After you order your Samsung Galaxy J6+ personalised case, your case will be produced within 24 hours and shipped immediately. If you have any questions, our support team will be happy to help you!